I didn’t know we had so many friends. 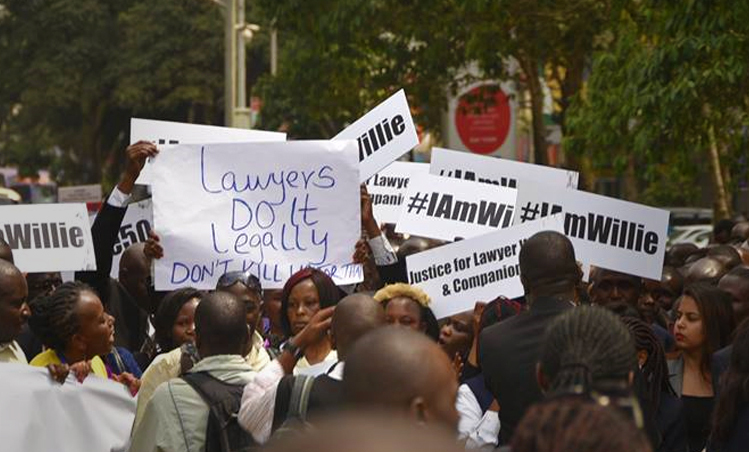 Kenyan civil society groups issued two separate statements during the crisis, demanding justice for Willie, Joseph and Josephat. Human rights groups in the U.S., including Human Rights Watch, Human Rights First, Freedom House and the American Bar Association strongly condemned the murders and demanded justice in the case. I didn’t know Kenya had so many friends. My colleague Eileen Campbell talked recently to someone she’d never met, a woman who had received word from IJM about the disappearance of Willie, Joseph and Josephat and had appealed to her for help. She told Eileen how glad she was to sign a petition demanding justice in their case, saying, “I felt like they were members of my own family.” So did many others: that petition now has over 37,000 signatures from around the world, including many Kenyans. “I felt like they were members of my own family.” It seems that the IJM family is much larger than I knew. The murder of our friends has brought people together in Kenya, in the U.S. and around the world in ways I’ve never seen before. God, it appears, doesn’t waste anything. We continue to grieve the loss of our colleagues and client but are simultaneously turning our attention to the prosecution of those suspected of killing them and to the challenge ahead, which is to secure justice in Kenya for every victim of police abuse. It is good to know that this great and good cause has many, many friends. God, it appears, doesn't waste anything.